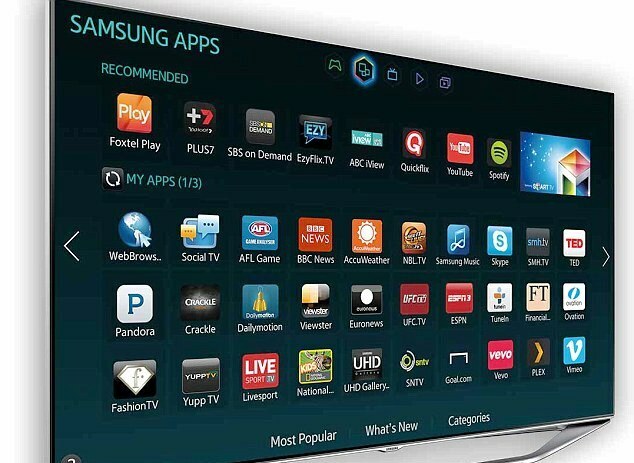 Samsung smart TV apps, samsung smart tv apps list: M7 Launches Samsung Smart TV apps. M7 launches the smart TV application on Samsung TVs. M7 Group has integrated its M7 smart TV application into Samsung smart TVs built from 2016 onwards. The M7 smart TV application will be marketed under the local brands of all markets of the M7 Group. The launch begins in Germany, where M7 recently launched Diveo as a new consumer TV brand, which is available for download with immediate effect. In Germany, Diveo targets approximately 18 million households with satellite TV. The hybrid satellite platform OTT Diveo, which M7 Group launched in Germany in February 2018, is now also available through a smart TV application, as well as Diveo's decoder and CI + module. After the launch of the application in Germany, it will expand to all markets of the M7 Group in Europe. The M7 Samsung Smart TV apps, which functions as a virtual decoder, offers the same user interface and interactive functions as the Diveo box without the need for additional hardware. The satellite channels in Astra (19.2 ° East) are received through the integrated DVB-S tuner and the Diveo CI + module, while additional pay-TV channels and interactive services reach the TV screen via the Internet. 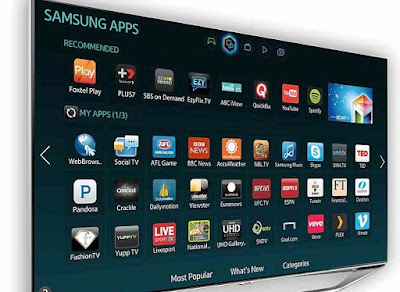 The Diveo Samsung TV apps are initially available for all Samsung smart TVs manufactured in 2016 and later with the Tizen operating system. Other smart TV manufacturers must follow. In Germany, this application provides access to up to 70 TV channels in HD quality, more than 30 update services and a video-on-demand service with more than 5,000 movies. Interactive features include instant reboot and recording in the cloud. The offer will differ in each M7 market. The offer can also be used on up to five mobile devices, such as Samsung smartphones and tablets, both within the Wi-Fi home network and via mobile networks. It has been possible to access Diveo through an IC + module since its launch, but in a reduced version that lacks, for example, interactive functions. Satellite homes can download the Diveo free Samsung Smart TV apps from the Samsung app store. After the 30-day trial period, users of the Samsung TV apps can choose from the same three subscription packages as Diveo customers with a Diveo box or a pure CI + module. The monthly prices range from €7.90 for the basic package and € 16.90 for the complete offer. "Together with the M7 Group, we are delighted to offer our consumers an exceptional television content proposal." By incorporating M7's linear and interactive content offerings into our platform, we are further enriching Samsung's smart TV users with exciting forms. and innovative to discover and enjoy your favorite content, "said Richard Jakeman, head of intelligent TV business development at Samsung Electronics Europe. "Joining forces with an innovative and well-known television manufacturer like Samsung is in full harmony with our philosophy, allowing us to make the television experience for our viewers even more exciting and intuitive," added Hans Troelstra, CEO of M7 Group. "Televisions of the future and smart television of the future not only go hand in hand but have now been genuinely combined through the M7 smart TV application."